Ravenna Chrysler Dodge Jeep RAM drivers, did you know that you are less than 20 minutes away from great cars and fantastic service? We have a large selection of new Chrysler, Dodge, Jeep, RAM trucks waiting for you to take out for a test drive. Start your search in the comfort of your own home. We have many options for you to check out so you can afford the car of your dreams. View pictures, watch videos and ask for more details to get more information related to your car of interest. 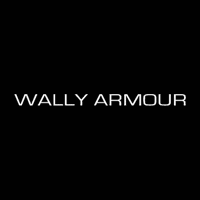 At Wally Armour, our service center near Ravenna, we are happy to help you get back on the road with confidence. For more information, give us a call at (877) 358-5646 today!